Thank you for joining me as we count down to the next MFT release. We are one day away from the big day! All the new Stamps, Die-namics, and Stencils will be available on Tuesday, June 2 at 10:00pm EST. Be sure to check out the MFT Blog to see all the new items being revealed today. Don't forget to leave a comment on the MFT Blog countdown posts, YOU could win one of the five $75.00 gift vouchers. 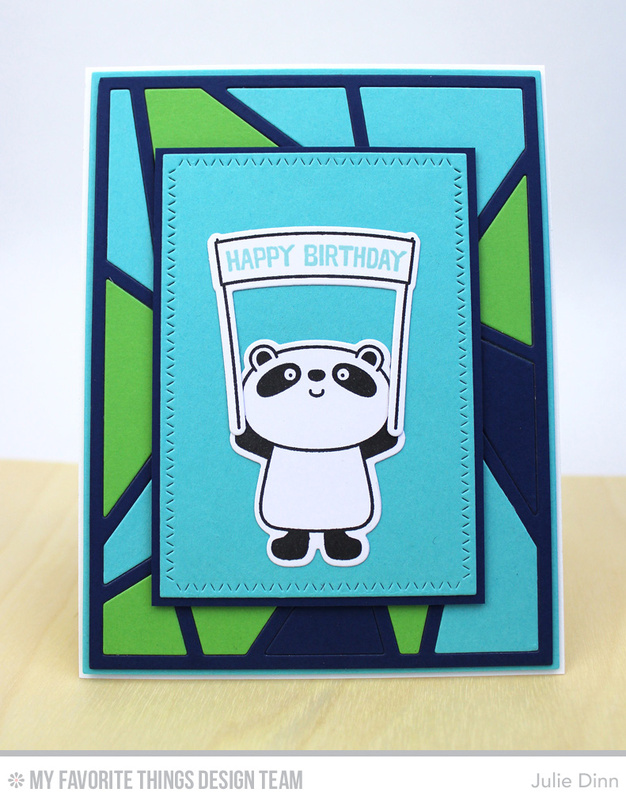 For my card today, I paired the adorable new Happy Pandas stamp set and Die-namics with the Abstract Cover-Up Die-namics, and the Zig Zag Stitched Rectangle Die-namics. 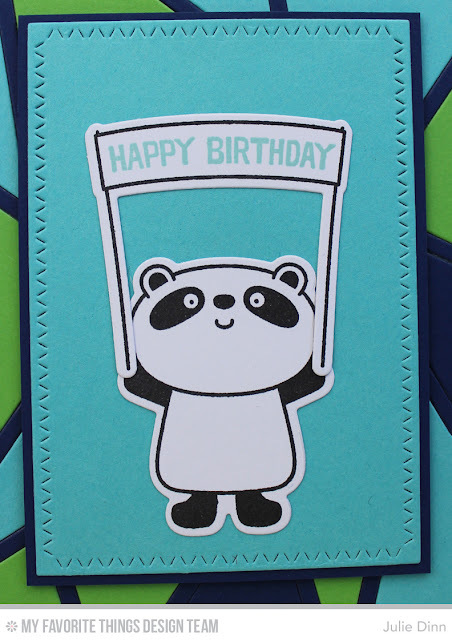 The Happy Pandas stamp set is full of fun images and sentiments. I stamped the panda in Black Licorice Hybrid ink on a piece of X-Press It card stock, the sentiment was stamped in Blu Raspberry Hybrid Ink. I used After Midnight, Blu Raspberry, and Green Room card stock on the Abstract Cover-Up. Fabulous colors. Love that background die. Gorgeous card with a gorgeous background! And the panda looks so sweet and naughty! Great combination abstract background and panda! Adds a happy feel! Sweet card Julie. I love the abstract cover up die. It looks so cute behind that panda. Beautiful card love that staine glass effect. Fabulous clean card! I'm inspired! Those blues and the green room are amazing.